You may remember a while back when we introduced you to the Bunny Hat. 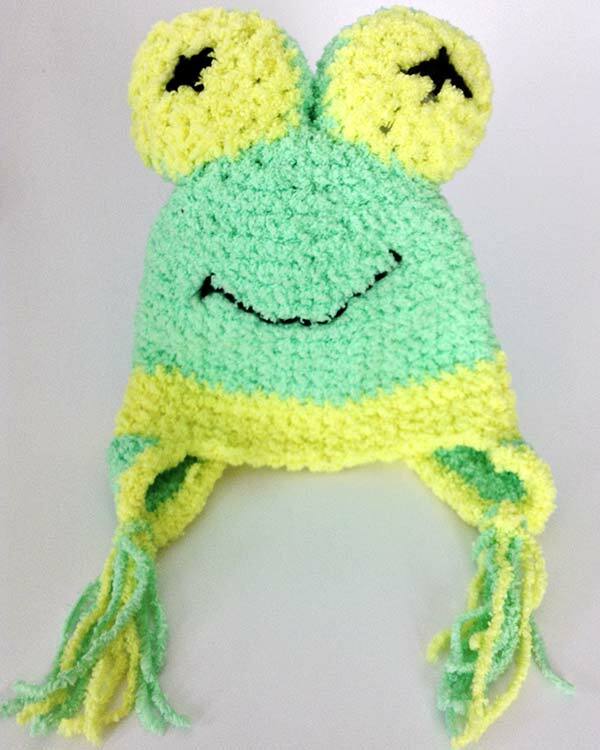 Now it’s time to introduce you to the Zookeeper Frog Hat, pattern found here. You will love this googly-eyed frog; he is SO CUTE!!! 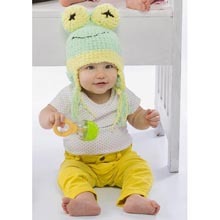 Like the Bunny Hat, the Frog Hat can be made in three different sizes, from infant to adult. The body, earflaps and fringe portions of the hat are made exactly like the Bunny Hat, so you will see video of the Bunny Hat for those portions of the pattern. 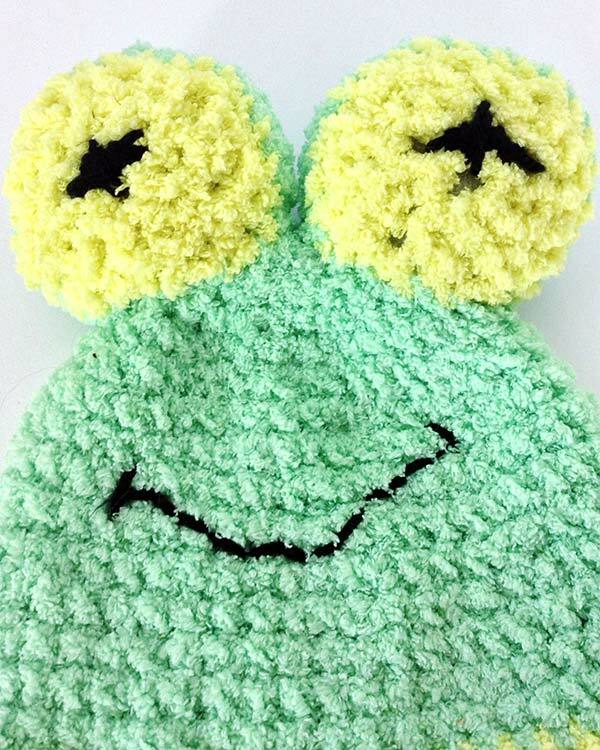 The big googly eyes of the Frog Hat are made separately and sewn on. 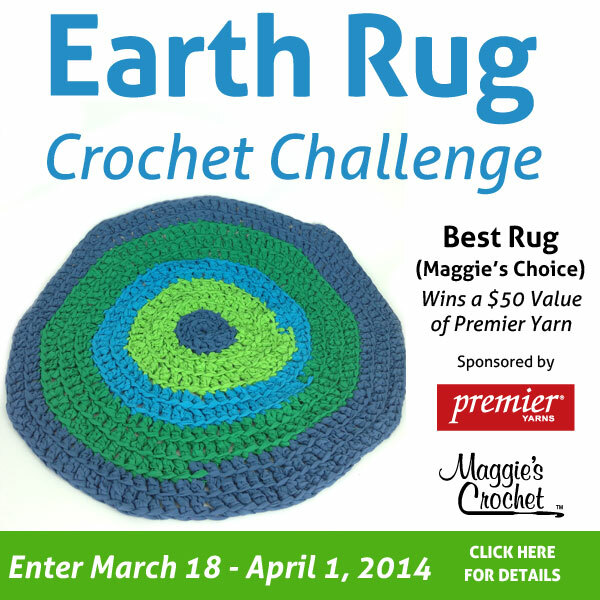 This is an intermediate level project that uses Hush® Yarn by Premier. 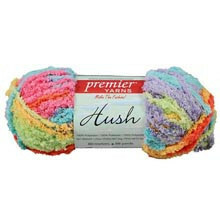 Hush is a #5 bulky weight yarn that comes in 13 soft, cuddly colors. 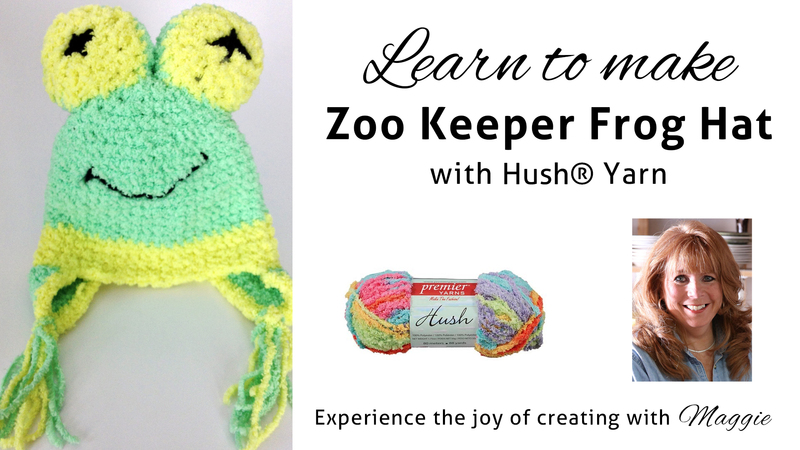 Hush is perfect for children’s apparel, and because its a bulky yarn, your projects will work up quickly. Would you like to see the Bunny Hat? Just click here.